The small built-in flash lifts up from the front of the viewfinder housing. The hot shoe above it allows connection of more powerful external units. The small NB-13L battery offers just 200 shots per charge, or 250 in Eco mode, according to CIPA standard tests. USB charging is available. Wi-Fi, Bluetooth and Dynamic NFC are all built in, enabling easy connection to smartphones, tablets, Wi-Fi printers and smart TVs. IN THE early days of digital, Canon’s PowerShot G series cameras were hugely popular with enthusiast photographers. 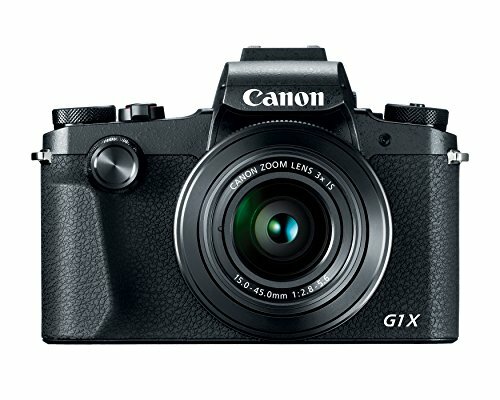 Canon was also the first to put a large sensor into a reasonably pocketable zoom compact, with its original PowerShot G1 X in early 2012. 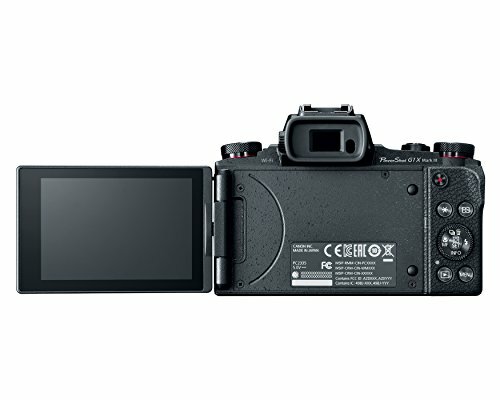 But less than six months later Sony released its pocket-sized Cyber-shot RX100 with a 20MP 1 in sensor, leaving the competition playing catch-up ever since. 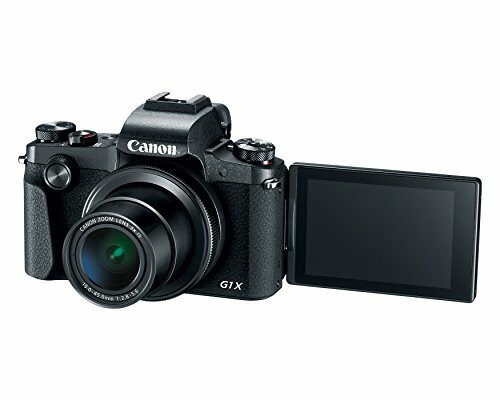 Canon’s follow-up G1 X Mark II never quite caught the imagination in comparison, with a bulky design but no built-in viewfinder. 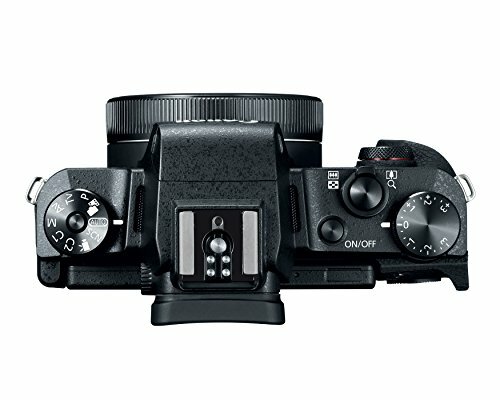 Now, though, Canon has upped the ante considerably, by placing a 24MP APS-C sensor into a remarkably compact body. In principle, this means the new G1 X Mark III should offer better image quality than any other zoom compact on the market, and the equal of many DSLRs. 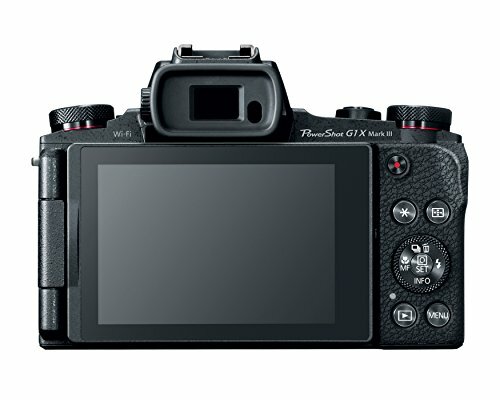 The latest model also eschews the uninspired boxy designs of its predecessors, and instead is based on the SLR-like PowerShot G5 X, with a central built-in electronic viewfinder and fully articulated touchscreen. As a result, it promises a rare marriage between image quality and usability. Naturally, there are some compromises to be made for this feat of miniaturization, with the most obvious being the lens: its 24-72mm equivalent range and f/2.8-5.6 maximum aperture look modest compared to its predecessors or the large-aperture zooms now commonly found on pocketable enthusiast compacts. Its 200 shots-per-charge stamina is also well below par, especially given the price tag. The G1 X III’s key feature is undoubtedly its sensor. Canon says that the 24.2MP APS-C CMOS is similar to that used in its popular EOS 80D DSLR, with a sensitivity range of ISO 100-25,600. The firm’s Dual Pixel CMOS AF technology is onboard enabling on-chip phase detection, and even from my short time using of the camera, it’s clear that autofocus is impressively quick. Thanks to Canon’s latest Digic 7 processor, continuous shooting is available at 7 frames per second with autofocus between frames, or 9 fps with the focus fixed at the start of a burst. Buffering is also quite respectable, with 24 JPEG or 19 raw frames recordable before the camera slows down. Canon says that the 15-45mm f/2.8-5.6 lens has been specifically matched to the sensor for optimal image quality. It includes optical image stabilization promising 4 stops benefit, a switchable 3-stop neutral-density filter, and a 9-bladed aperture diaphragm. However, despite the large sensor the f/5.6 maximum aperture means that the G1 X Ill’s lens won’t give any greater background blur than those on 1 in sensor cameras like the Sony RX100 V and Panasonic LX15 that have f/2.8 apertures at the 70mm equivalent setting. When it comes to video, Canon has again disappointed any fans hoping that it might finally include 4K recording in an affordable camera. Instead, you only get Full HD at 60fps, and there’s no microphone socket, although in-camera time-lapse movie creation is available. In terms of design the Mark Ill represents a complete about-turn for the G1 X series. The DSLR-like body design gives a very pleasant shooting experience, particularly in comparison to pocket cameras such as Sony’s cramped RX100-series models. Despite its compact size, the G1 X III feels unexpectedly secure in your hand, thanks to its rubberized fingergrip and pronounced thumb hook. The key shooting controls are all well-placed too. 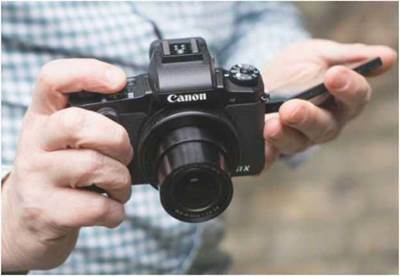 Canon has included an EOS-like command dial for changing exposure settings, placed vertically on the front-plate for operation by your forefinger. The top-plate exposure compensation dial falls naturally underneath your thumb, while a rocker around the shutter button controls the zoom. A smoothly rotating dial around the lens can be used for manual focus, and there’s another small dial on the back, although this is only really needed in manual-exposure mode. The EVF is a 2.36-million-dot OLED unit, placed centrally above the lens. While this design means that the camera is bulkier than other zoom compacts with built-in EVFs, the advantage is that the viewfinder itself is much better. Immediately below is the 1.04-million- dot full-articulated touchscreen, which can be set to point in virtually any direction: up, down, or forwards for selfies. Canon has included its well-implemented touch interface, including the ability to use the touchscreen to move the focus point with the camera held to your eye. 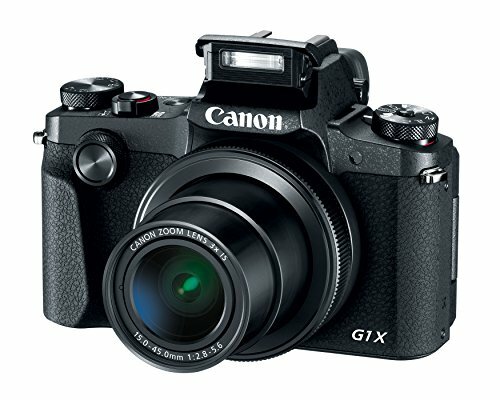 WITH the PowerShot G1 X Mark III, Canon has managed a really impressive technological feat – it’s barely believable that such a small body can accommodate an APS-C sensor and a zoom lens. What’s more, from my short time using it, it seems to be a very usable camera indeed, with excellent handling and rapid autofocus. It’s fair to say there’s nothing else quite like it on the market. The key catch, however, is the relatively limited lens range; I’m not sure how many photographers will be attracted by a modest-aperture 3x zoom, especially given the price tag. Indeed for less money you could buy an EOS M5 with its 15-45mm kit zoom and the option of changing lenses, albeit in a rather larger package. But if you want a pocket camera with a short zoom lens and the best possible image quality, the G1 XIII certainly looks like it’ll be a leading contender when it hits the shops in November. Keep an eye out for our full review around then. 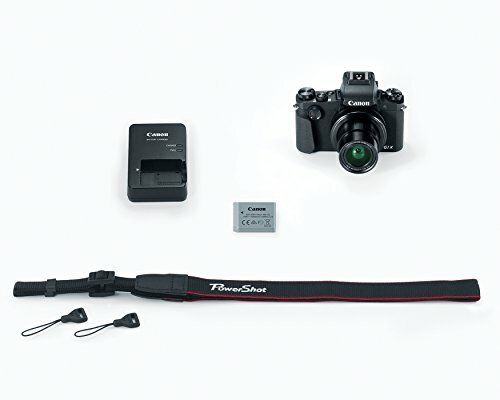 TO GO with the PowerShot G1 X Mark III, Canon has announced some additional matched accessories. First up is the LH-DC110 lens hood that screws onto the front of the G1 X Mark III’s lens without interfering with its retraction into the body. 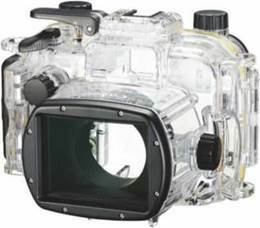 Second is the WP-DC56 underwater housing, which is waterproof to a depth of 40m (130ft) while still giving full access to all of the camera’s extensive external controls. It’s the only such housing Canon makes for an APS-C- sensor camera, and will cost Like the camera itself, both the lens hood and the underwater housing are due to go sale in November. CANON has also reached the latest production milestones in the 30-year history of its EOS system. Since its introduction in March 1987, the firm has now produced no fewer than 90 million EOS cameras and 130 million EF lenses. Indeed over the past five years, it’s been manufacturing almost 10 million lenses per year, with the 120-million mark having been achieved in September 2016. Its 90 millionth camera to roll off the production line was an EOS 5D Mark IV, while the 130 millionth lens was an EF 16-35mm f/2.8L III USM.